Strange New Norms give evidence to the surreal unpredictability of sea level rise effects in South Florida. 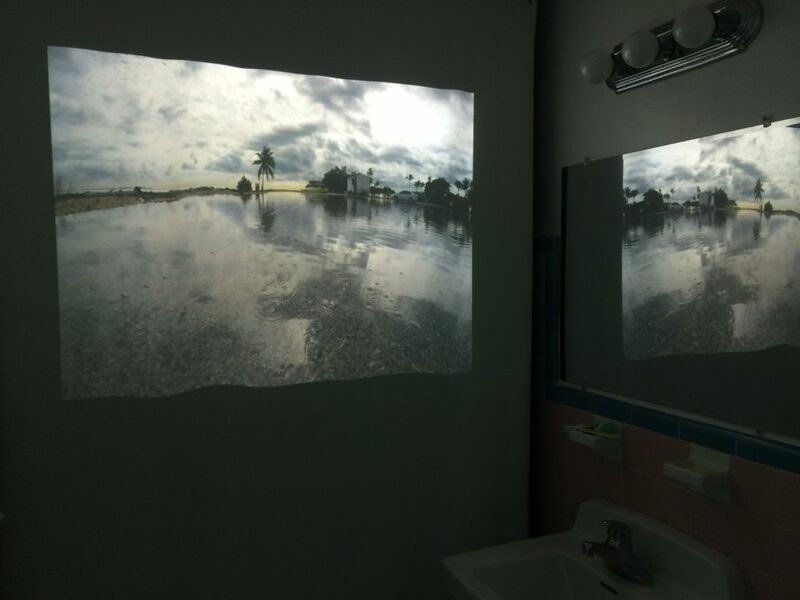 Filmed in public spaces with random public encounters, these shorts document people’s performative reactions to high water and foreshadow the future of cities faced with increasing sea level rise. Adaptation as a survival strategy varies here from shock to obliviousness, from disturbance to acceptance of new normative situations. Water level rises with a slow and steady creep that is simultaneously disturbing as well as soothing.